Coming down the bumpy track, tourists spilling over the road, the green waters of the Inland Sea come into view. A seawater lagoon on Gozo, it is linked to the Mediterranean Sea through a narrow arch. Originally a sea cave formed by a geological fault in the limestone, a collapse of the cave roof led to the formation of the lagoon. On the shore are small fishermen's huts, their boats pulled up along the stony pebble beach. Swimmers enjoy the warm waters and snorkel in the shallow lagoon with a pebbly bottom. Luzzijiet, small fishing boats, potter around the lagoon taking visitors through the archway and out into the open sea beyond to visit the cliffs and remains of the Azure Window. Descending through the swimmers the entrance to the archway comes in to view. A dark tunnel with no light ahead is the start of the dive. Gradually heading deeper the light at the end of the tunnel starts as a pin prick, becoming larger as we follow the walls of the cliffs. Eventually the sheer walls beyond the archway are found. 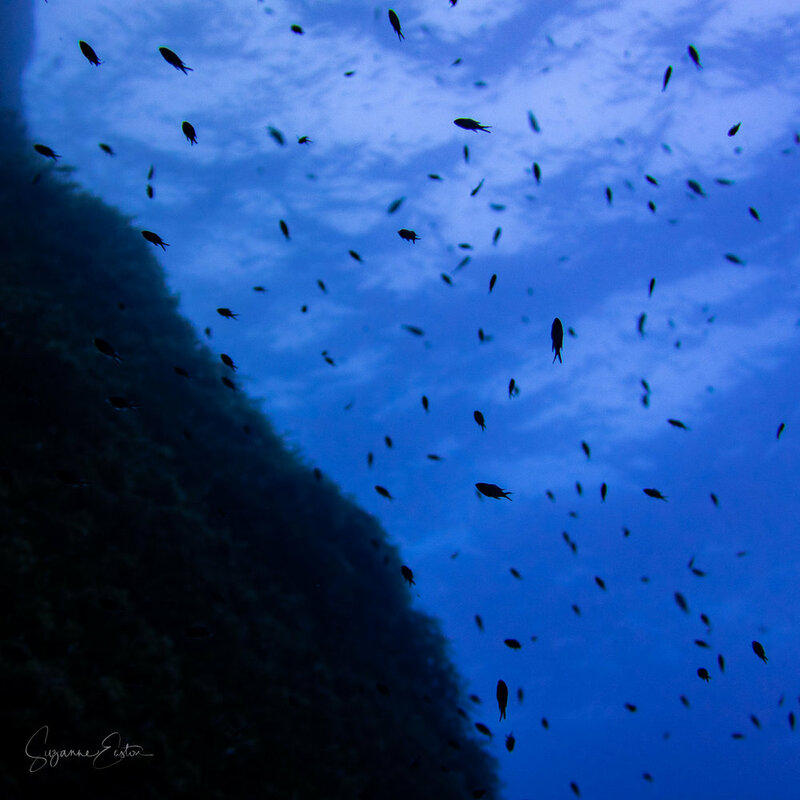 Towering above us to the surface and beyond they are alive with fish and life. Jacques Cousteau often said this, linked to the Blue Hole and Azure window dive sites was one of his top ten dives in Europe and it is easy to see why. 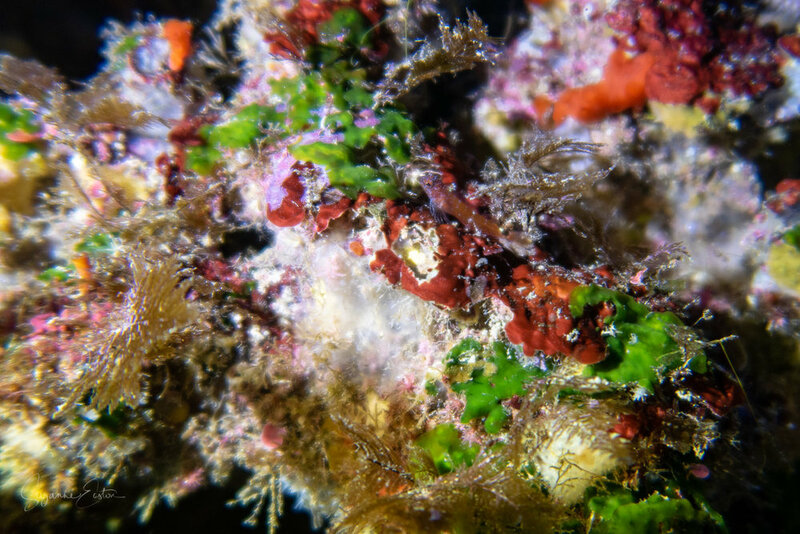 Nudibranchs and coral cling to the rocks while small fish dart in and out, using the colours as cover for their presence. Shoals of smaller fish rove up and down the cliffs as larger hunters patrol for weaker fish that may be an easy meal. The only way to return from the dive is back through the tunnel, darkness for safety stops on a shallow ledge before returning to the light and pebbly lagoon and the legs of swimmers! Can you see the tiny fish?